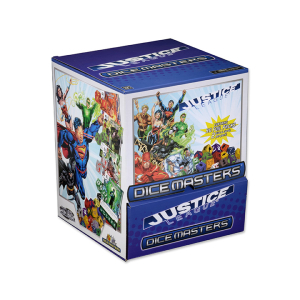 DC Comics Dice Masters: Justice League features fan favorites from a variety of Justice Leagues like Batman, Wonder Woman, Superman, Zatanna, Martian Manhunter, and MORE! 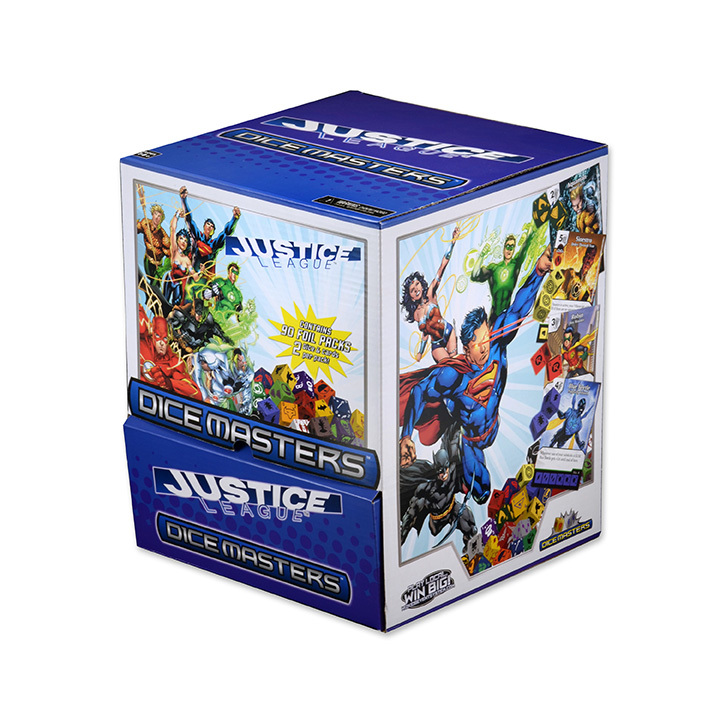 With game-play that supports two players in epic dice battles, DC Comics Dice Masters: Justice League will let players build their own version of the Justice League – or even the Legion of Doom! 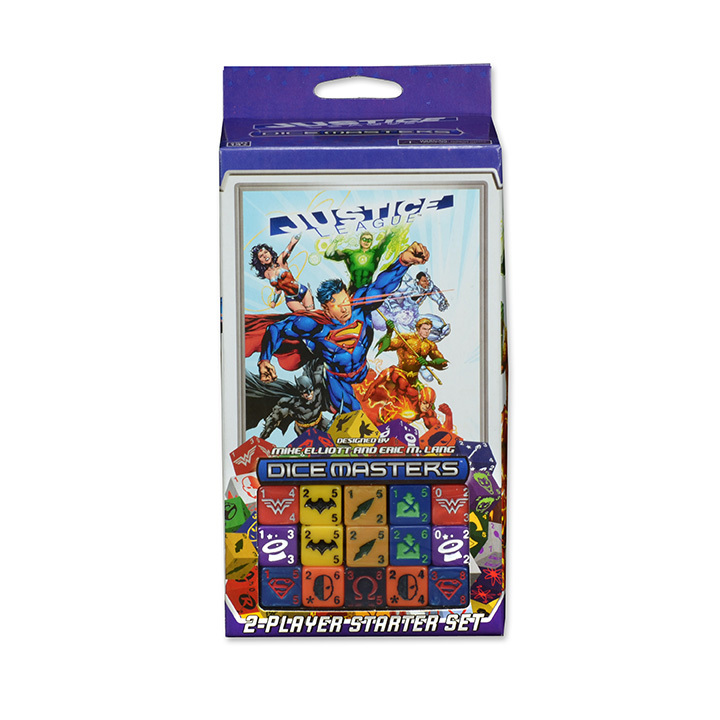 The DC Comics Dice Masters: Justice League Starter Set is the first DC Comics Dice Masters starter. 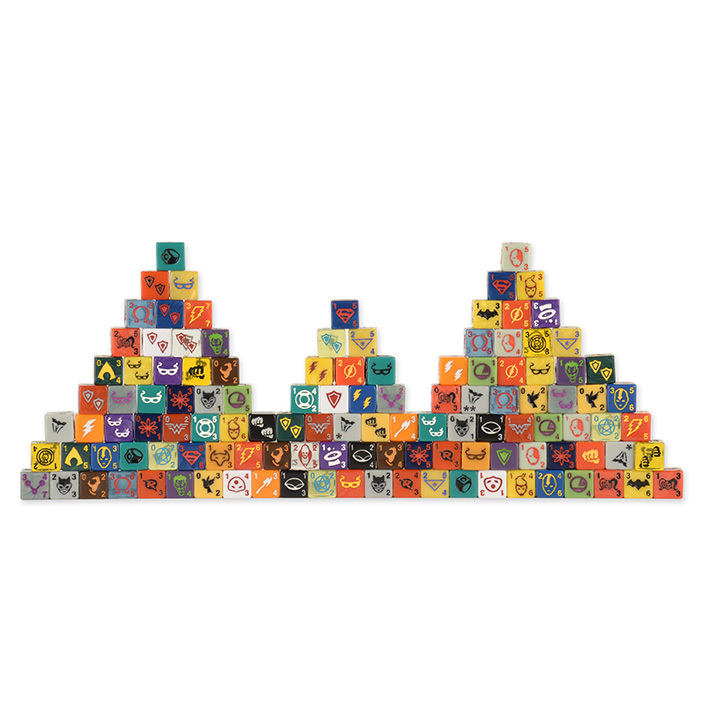 This innovative collectible allows players to increase their Dice Masters collection or jump into the game fresh! 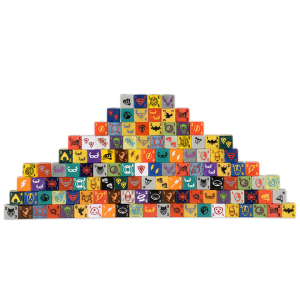 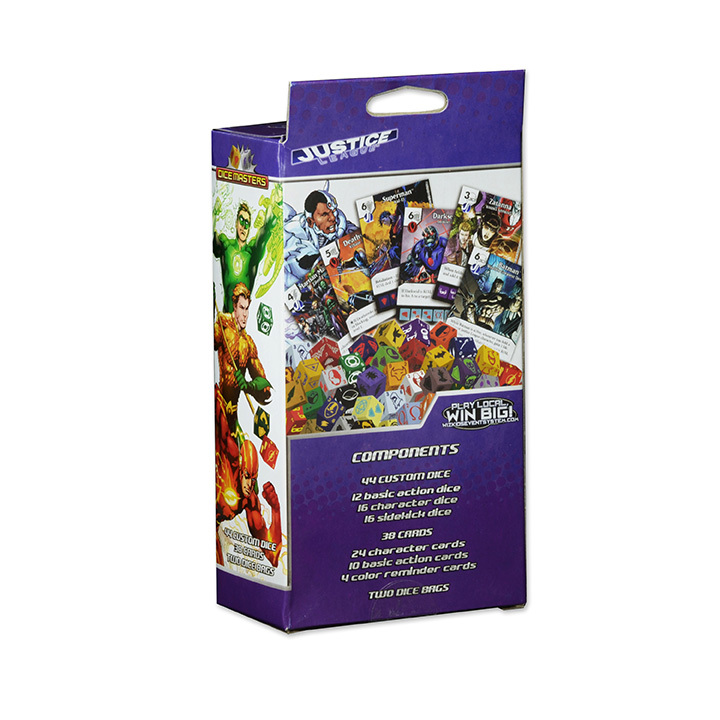 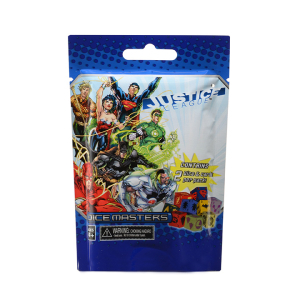 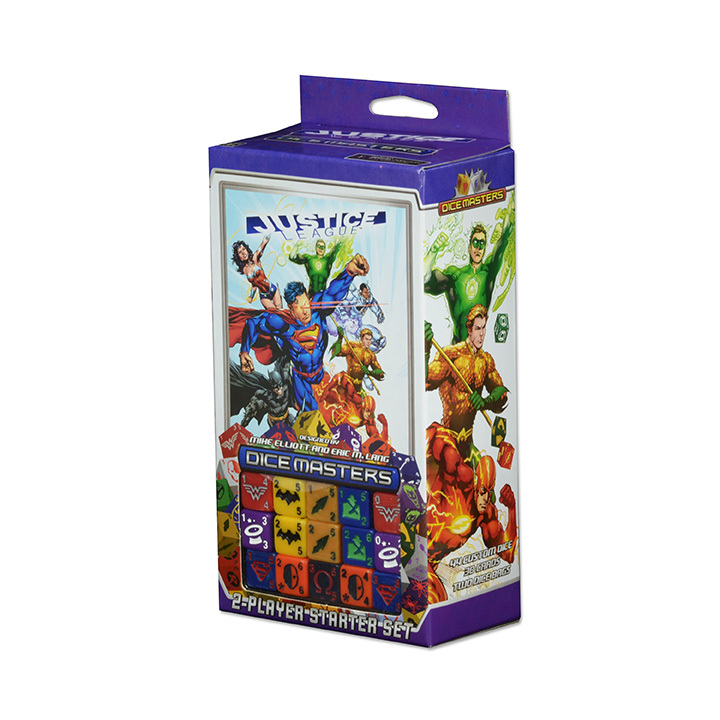 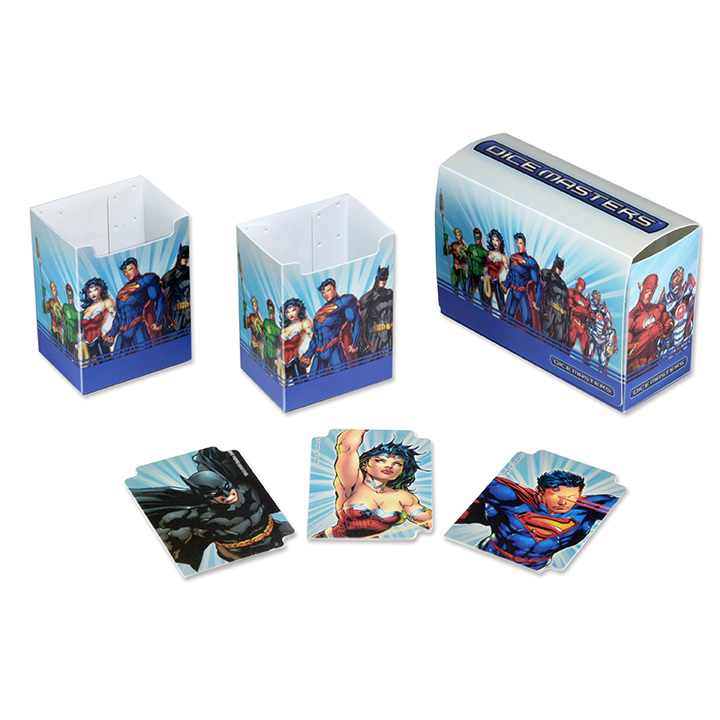 Each DC Comics Dice Masters: Justice League foil pack contains two cards and two dice that players can add to their DC Dice Masters collection! 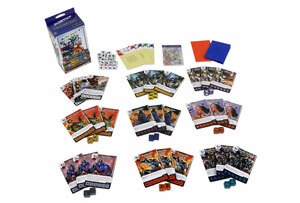 Featuring more than 30 new characters (and their dice! ), DC Comics Dice Masters: Justice League will be sure to deliver some justice to your opponents in your next Dice Masters game! 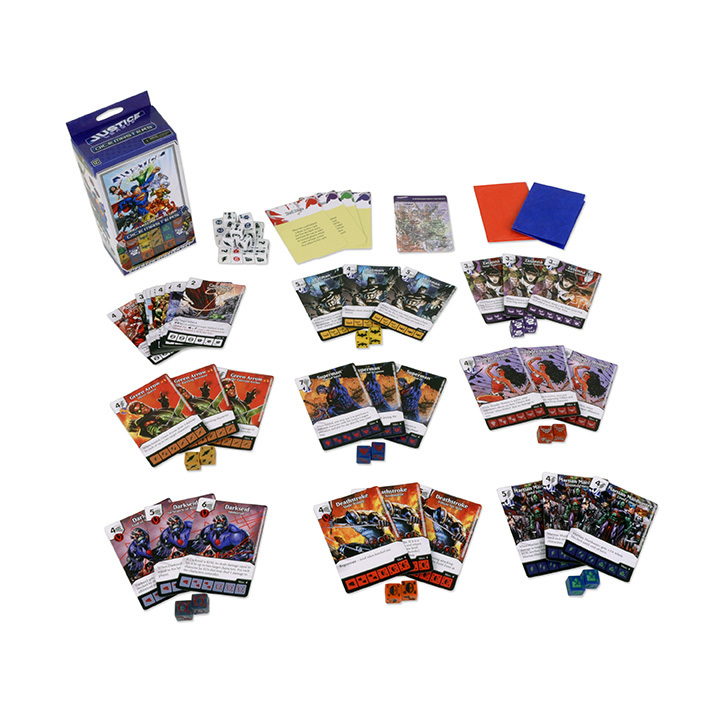 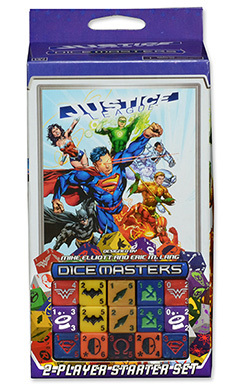 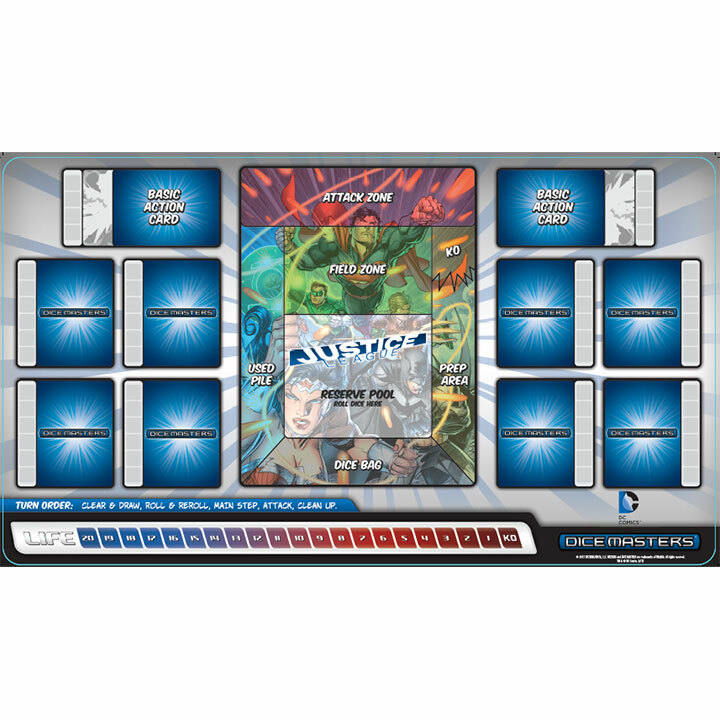 The DC Comics Dice Masters: Justice League Play Mat displays all of the information one player needs for their Dice Masters game including: life meter, areas for their character cards and dice, areas for Basic Action Cards and dice, and features each of the Dice Masters play areas, color-coded for players’ convenience. 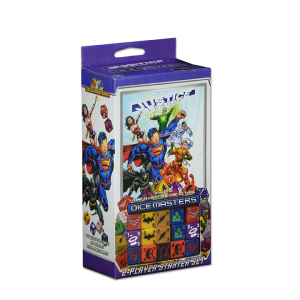 Made from flexible and durable neoprene, the DC Comics Dice Masters: Justice League Play Mat measures approximately 24” wide and 13” long and can be easily rolled up for safe transport and storage, or left out to display. DC Comics Dice Masters: Justice League Team Box is designed to carry a player’s Dice Masters team to their next DC Dice Masters game! 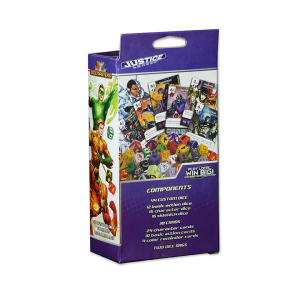 The DC Comics Dice Masters: Justice League Team Box contains two internal boxes and three dividers to make organization of dice, cards fast and easy! 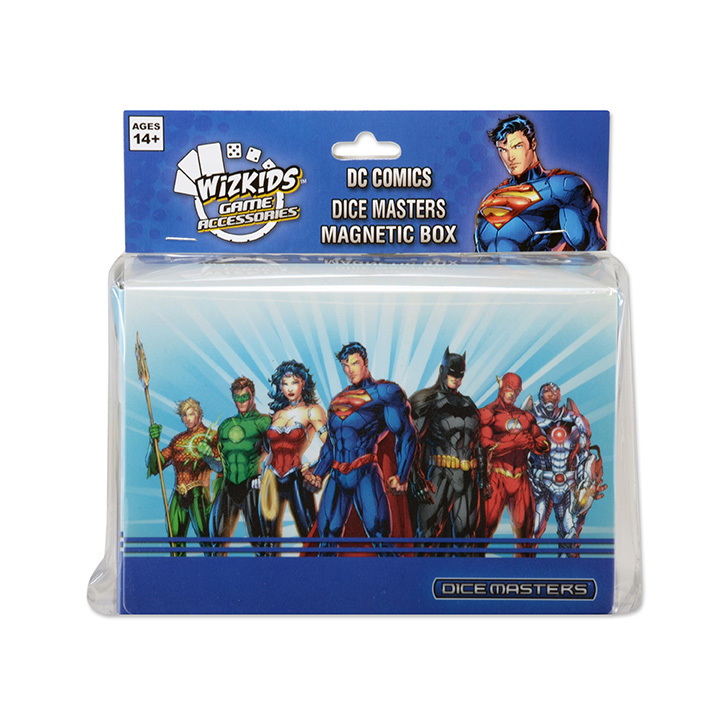 Made from flexible and durable plastic with a magnetic closure, the DC Comics Dice Masters: Justice League Team Box measures approximately 5.63” wide 3.85” tall and 2.17” deep and can be easily stowed in a backpack or satchel for easy organization and transport.